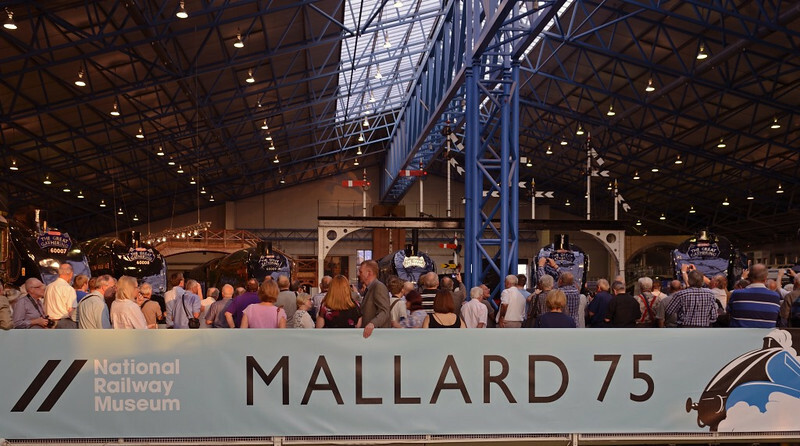 Welcome to Mallard 75! National Railway Museum York, 5 July 2013. To celebrate the 75th anniversary of the 126mph sprint by Nigel Gresley's A4 Pacific Mallard in 1938, the NRM reunited the six surviving A4s at York, including two from North America. Here they are, in the only photo I managed with all six locos.